Automatic feeding Toothbrush Making Machine. This Toothbrush Machine is the upgraded version of HS20-14. It can automatically load, feed and tuft the toothbrushes. It has a compact structure, high running speed and good stability. One worker can operate several machines at the same time. * It can show precise failure information and has auto-shutdown function. * 1000 kinds of brush programs can be preset in the system, and it is very easy to create a new brush program. Looking for ideal Automatic Feeding Toothbrush Machine Manufacturer & supplier ? We have a wide selection at great prices to help you get creative. 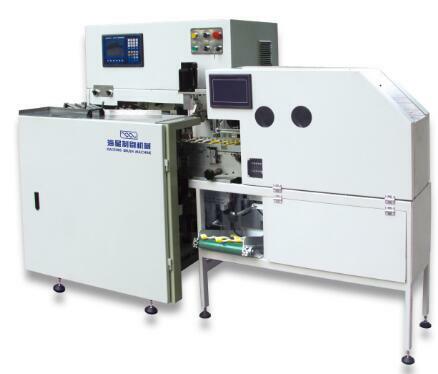 All the Toothbrush Filling Machine are quality guaranteed. We are China Origin Factory of Automatic Toothbrush Making Machine. If you have any question, please feel free to contact us.